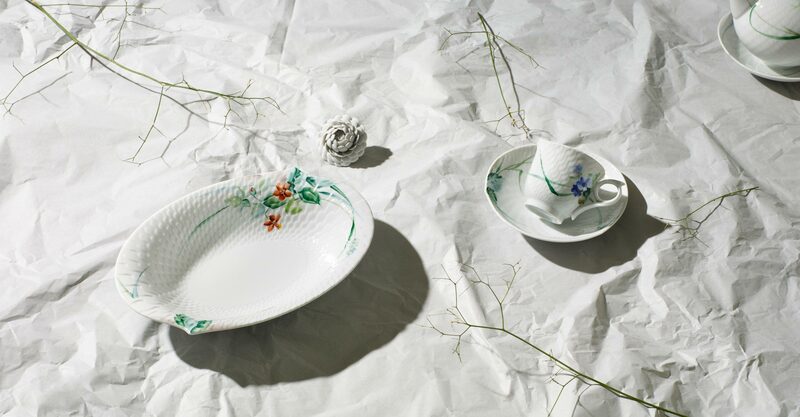 In 1996, on the threshold of the new millennium, MEISSEN debuted its new tableware series “Waves”. 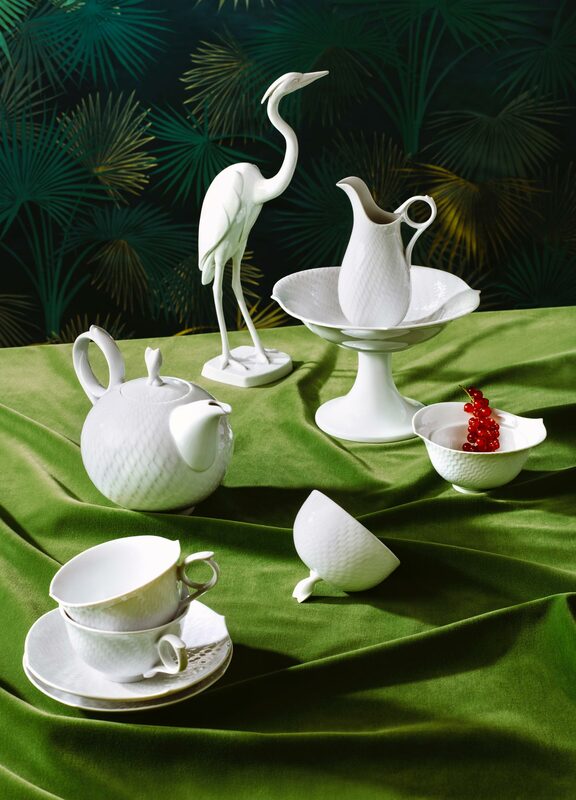 Developed over three years under the creative direction of Meissen designer Sabine Wachs, the new, 39-piece series revisits the corrugated, pointed curves of classic service designs, reinterpreting their shapes in a contemporary way. Wachs counters the strict symmetry of historic designs with a vivacious dynamism: the motion of waves flows into varying contours and is evident on each piece in the collection. 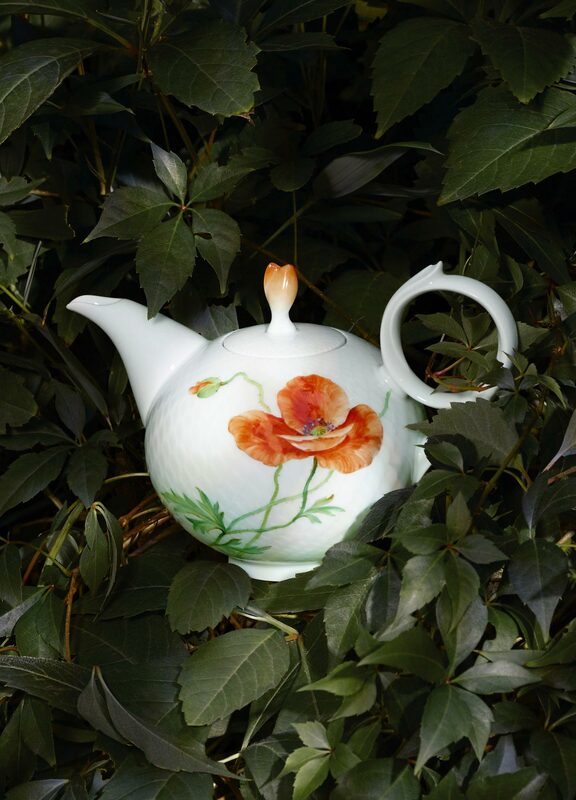 In a nod to Meissen’s tradition and the series’ nautical theme, the handles of the cups, pots, and creamers are shaped as rings, while other manufactory hallmarks can be found in the curved spouts and the bud design of the lid knobs. 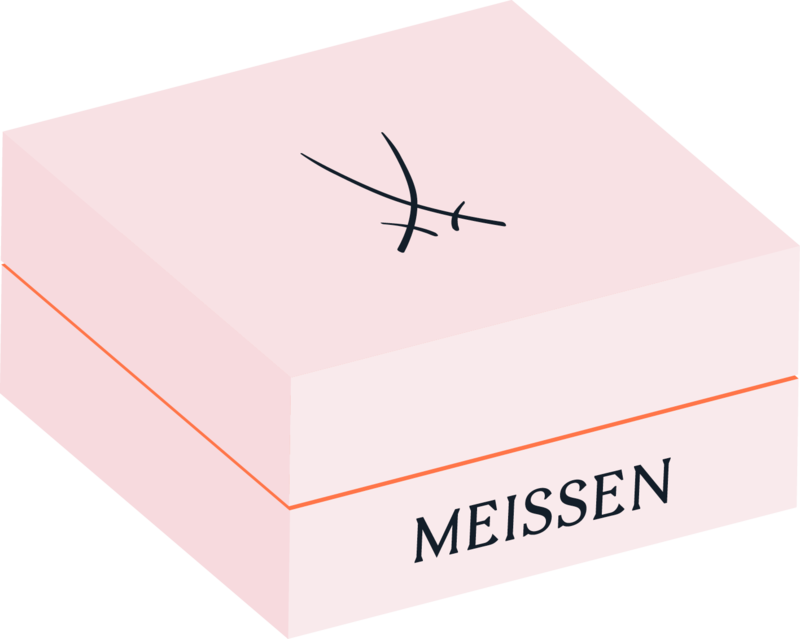 In this way, the “Waves” table service – in either its “Pure” or richly detailed “Relief” variants – channels classic elements of the Meissen manufactory to flow into the contemporary service design. 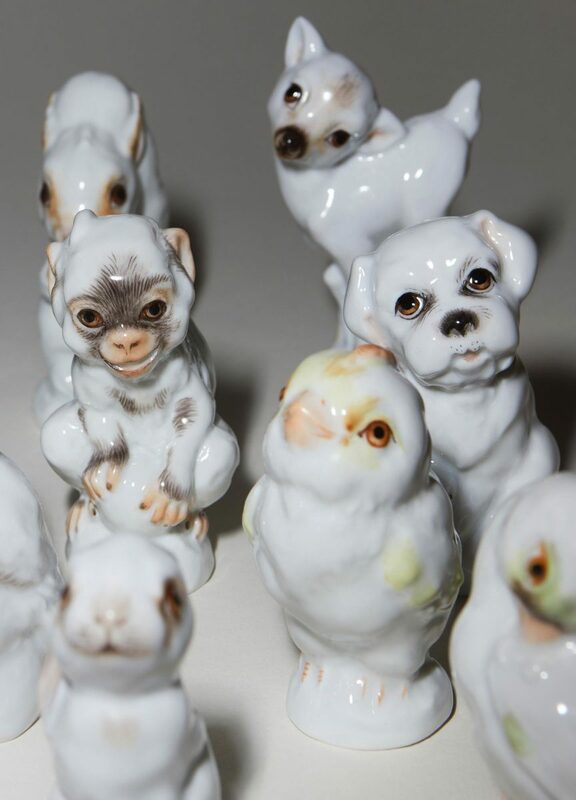 It took three years, from 1993 to 1996, for Meissen modelers working under Sabine Wachs to create this comprehensive porcelain service, a design triumph to usher in the new millennium. 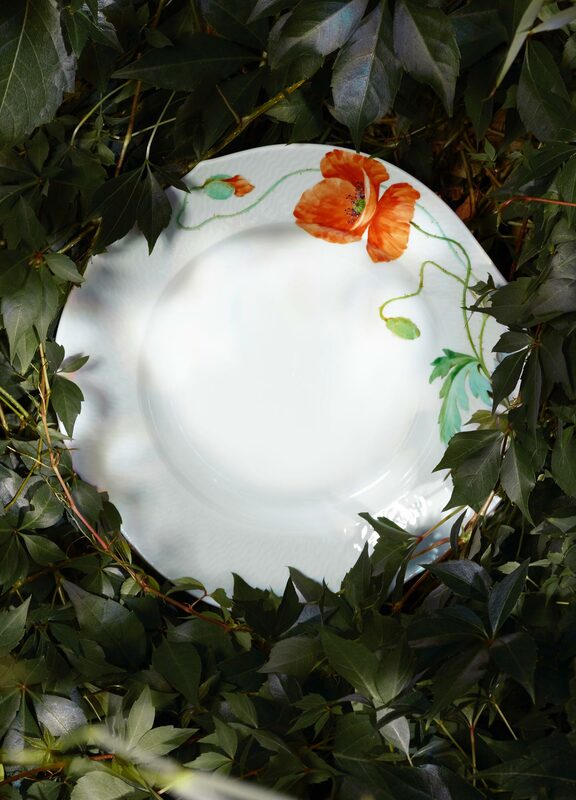 With its clear lines and that consistently brilliant lustre for which Meissen porcelain is famed, the “Pure” porcelain ensemble is an eloquent expression of the vivacious dynamism of Sabine Wachs’ “Waves” form. 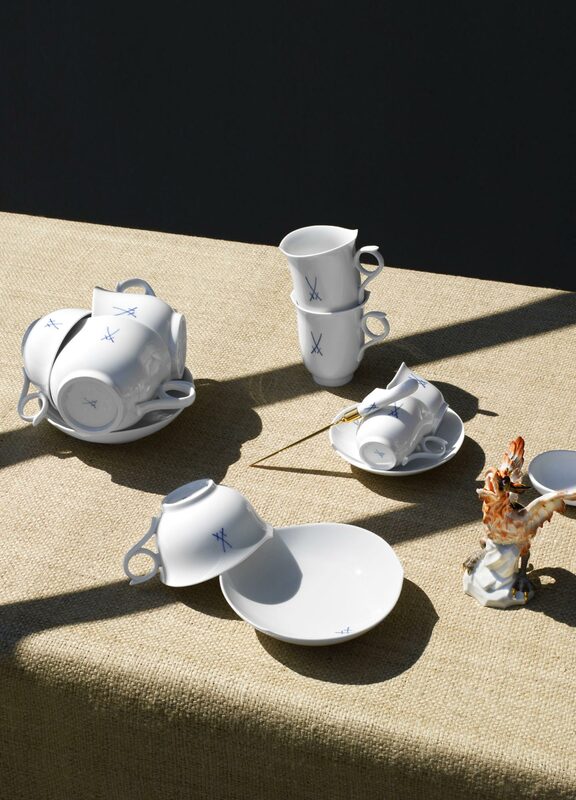 In its “Pure” variant, the set succinctly captures the nautical influence on certain elements typical to the Meissen manufactory – the ring-shaped handles, curved spouts, and the bud design of the lid knobs – and thus conveys an energetic maritime joie de vivre. 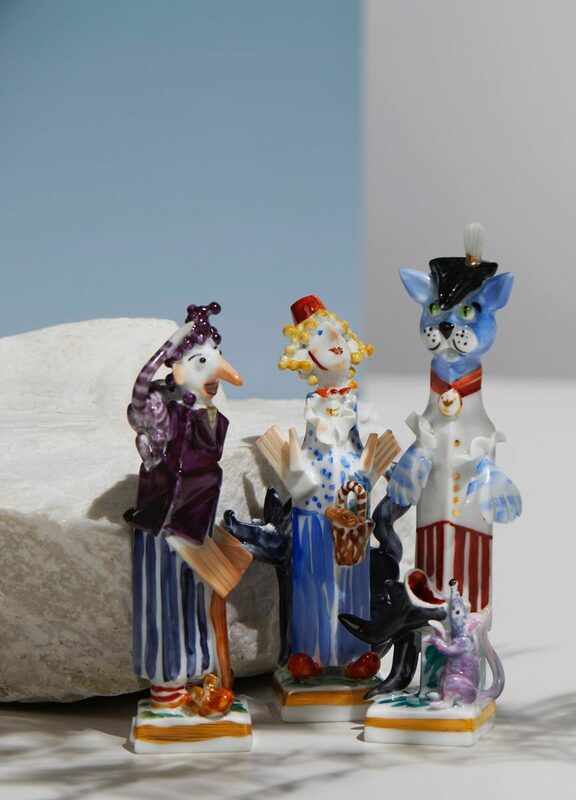 The subtle grooves of the “Waves Relief” ensemble were inspired by a morning fishing trip embarked upon by Meissen sculptor Jörg Danielczyk. Like the rippled surface of the sea, the wave reliefs enliven the surface of each piece in the set. The rich detail and precision of the reliefs highlight the plasticity and unsurpassed quality of Meissen porcelain. The jaunty brushstrokes of aquarelle decoration created especially for this series accentuate the dynamism of the service forms. In “Forest Flora with Insects” can be seen local pastoral motifs – blackberry, rosehip, lily of the valley, and hazelnut, while the flaming red tones of summer meadows are captured in “Wild Poppy.” Applying the paints on a surface with such stark reliefs presents a particular challenge, testament to the masterful skill of the Meissen manufactory.